Ebola Virus once again flaring up Airports started to display signage, in English and French, about the Ebola Virus Wednesday. 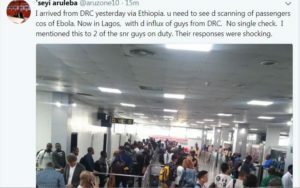 A sample message provided by CDC says travelers should watch out for symptoms like fever or head and body aches for three weeks — the incubation period for Ebola., U.S. health officials have briefed border officers about potential danger from travelers, and U.S. airports are beginning to issue warnings about the deadly disease. Authorities say there’s no immediate danger and they’re better prepared should the outbreak begin to spread beyond the Democratic Republic of Congo. But the briefings and precautions are part of an effort to get out in front of the risks. 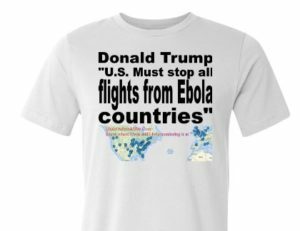 The Centers for Disease Control and Prevention say electronic signs at more than 20 airports — from Seattle to San Juan, Puerto Rico, — urge travelers arriving on indirect flights from Congo to know the symptoms of Ebola Virus, monitor themselves and contact a doctor if they feel sick. And roughly 6,500 Customs and Border Protection officers have received pre-shift briefings raising awareness. With Ebola Virus touching Mbandaka, a large city on the Congo River, officials are worried about a fast spread to other population centers. Still, WHO insists it’s well-equipped to contain Ebola Virus prevent the panic that accompanied the last outbreak in West Africa that peaked in 2014 and claimed more than 11,000 lives. That outbreak sparked the Obama administration to post warnings and funnel travelers from affected countries to five international airports in the U.S., where they were screened for symptoms and ordered to check in with local health officials for weeks afterward. Airports started to display signage, in English and French, about the Ebola Virus Wednesday. A sample message provided by CDC says travelers should watch out for symptoms like fever or head and body aches for three weeks — the incubation period for Ebola. Should Ebola Virus outbreak spiral out of control, however, the administration may have to consider tighter measures. Some experts worry Mr. Trump will take an unscientific approach, if things worsen. 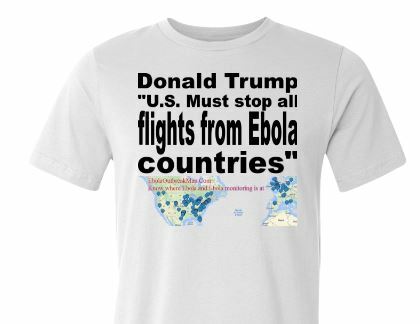 So far, Mr. Trump’s one foray into Ebola Virus to propose cutting $250 million in funds left over from the response during the Obama administration. That was part of a $15 billion cuts package the White House proposed. Dr. Schuchat said some staffers may assist exit screening at airports at Mbandaka, the city where cases were found, and the capital of Kinshasa. Other staff will assist with disease tracking and vaccination. WHO is warning nine countries that border the DRC to take precautions, in case the outbreak hops borders, though the disease fighters hope it doesn’t come to that. Seven CDC staff members have arrived in the DRC and several more are in the process of deploying.